Register your Business and be a recognizable part of the Global Gems and Jewellery Business Network. Get the ultimate breakthrough to your Business by opening avenues of Great Opportunities. Get noticed. 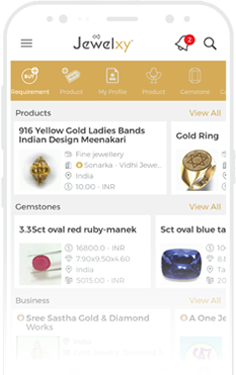 Create a Free website and opt for standards to showcase your Gems and Jewelry products and services in the Marketplace including various ongoing deals and offers. Start dealing with Millions of Customers across the globe and expand your business faster. Introduce your Business on the Global Marketplace and optimize the productivity in an effective way with countless benefits. It´s always good to have more questions, and if you do, visit our FAQ's or get in touch with us. Give a Missed Call on 9555903003. We´d be happy to assist you.